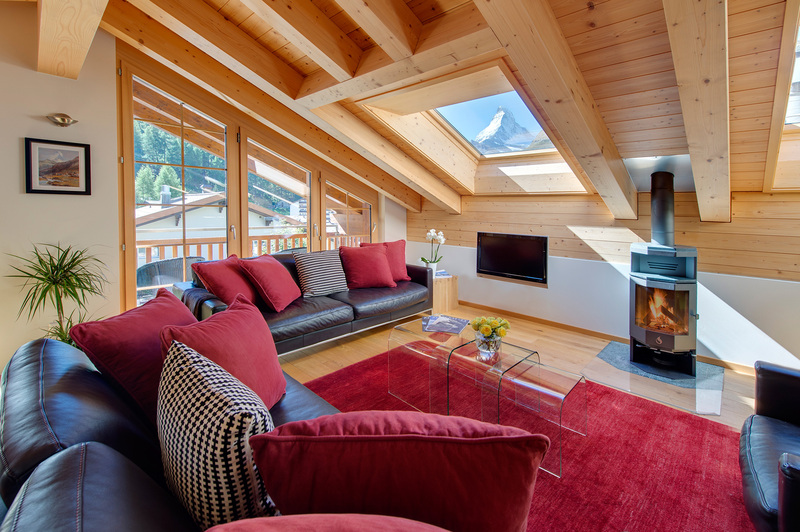 Murini Loft is a duplex apartment on the 4th and 5th floor of the Murini building (lift) offering amazing views of the majestic Matterhorn. 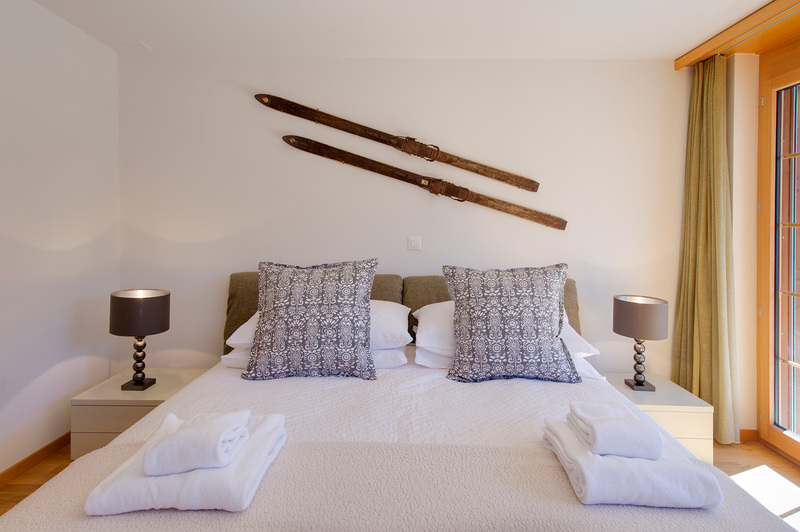 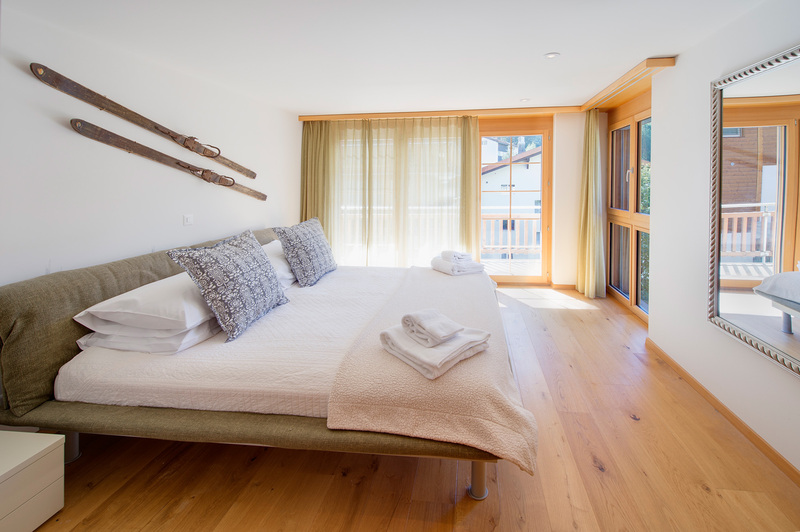 The apartment sleeps 6/8 people and comprises: one king size double and one twin/double room on the 4th floor entrance level and a further twin/double on an enclosed mezzanine floor above the 5th floor. 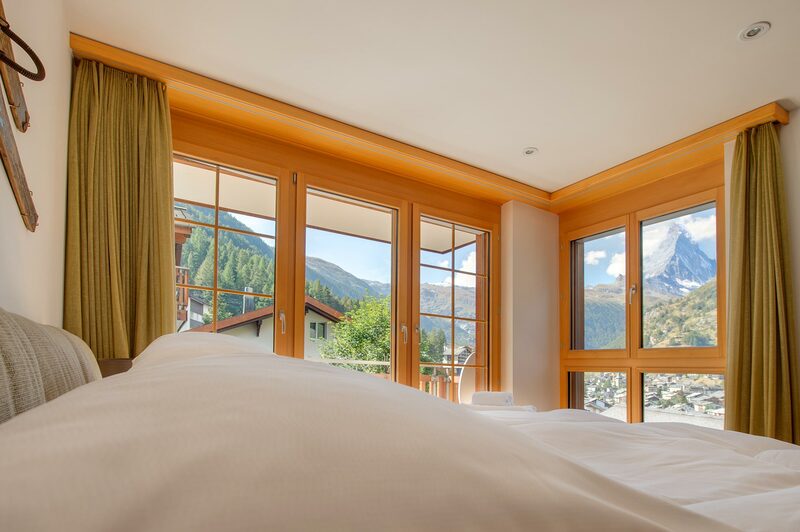 The king sized room is double aspect with south facing views of the Matterhorn and has a separate bathroom with twin washbasins, W/C and a Jacuzzi bathtub with showerhead. 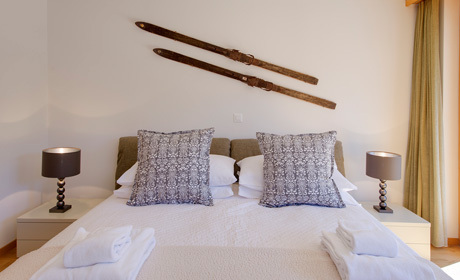 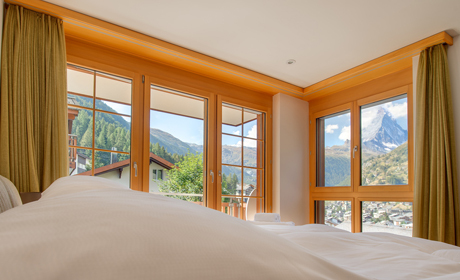 The double/twin room on this level also has stunning Matterhorn views. 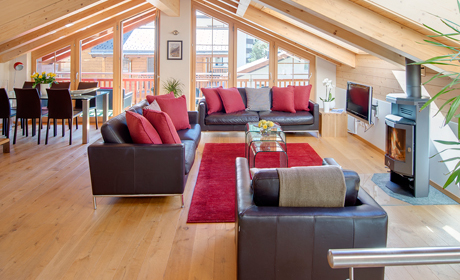 For larger families this is an ideal family room as there are also two luxury sofa beds that make into two adult size family beds so the room can sleep four people in total if required. 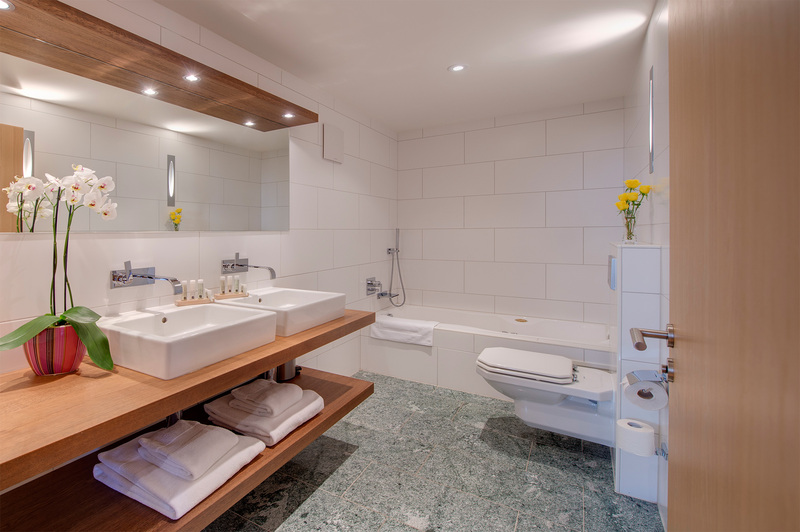 This room offers a spacious en-suite shower room with W/C and washbasin. 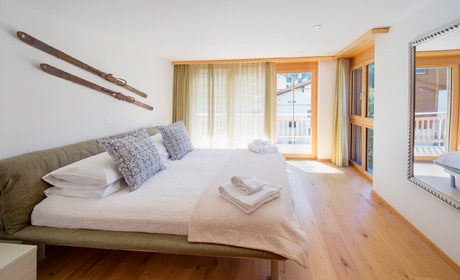 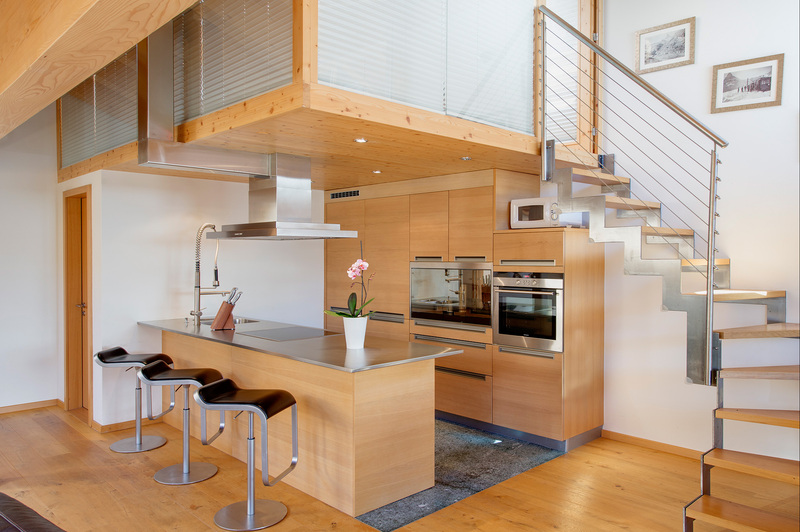 The third bedroom is on an enclosed mezzanine level above the living area,which can be a twin or a double room. 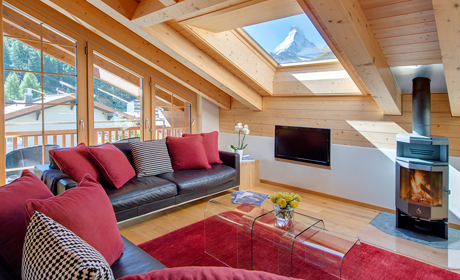 Amazing views of the Matterhorn through the sky light window offset the slightly low sloped ceiling . 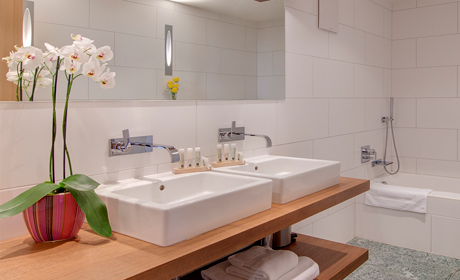 There is a shower room with WC and washbasin on the living level that is used by the occupants of this room. 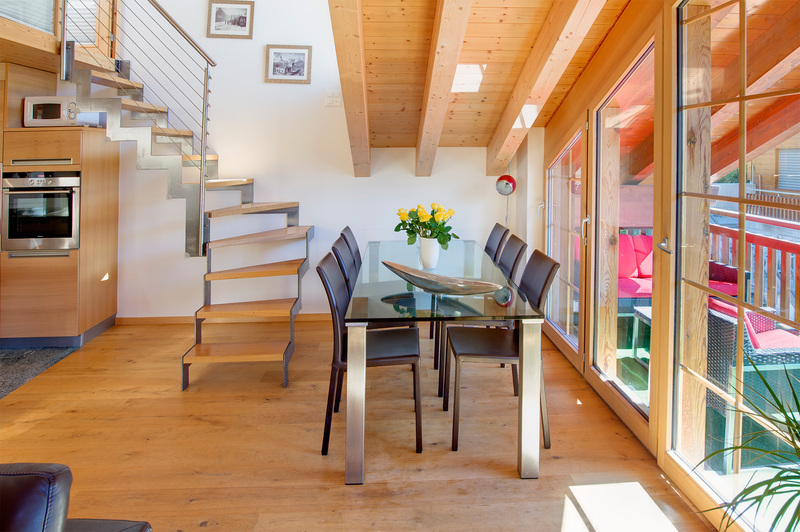 The spacious living area is on the 5th floor and is accessible by internal staircase and a separate entrance door leading from the lift. 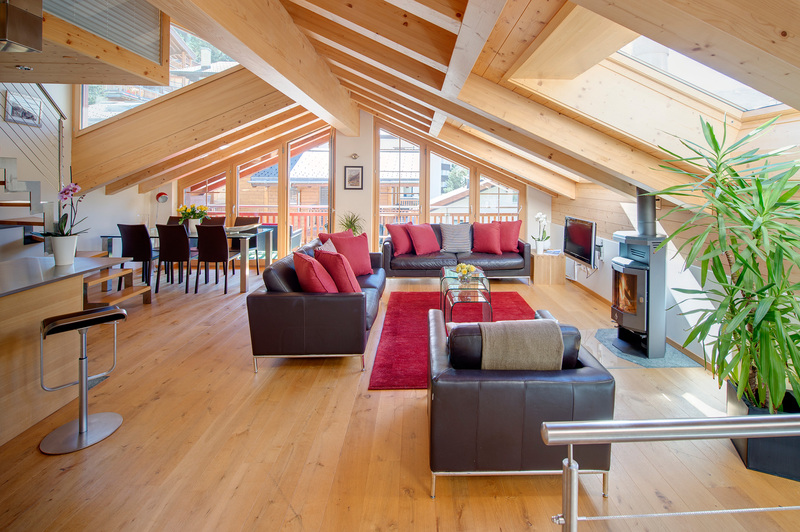 Skylights and windows offer well framed views of the Matterhorn, and doors lead onto the south facing balcony. 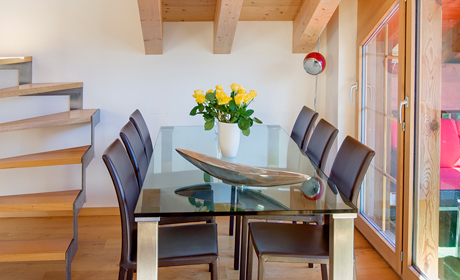 The living area is open plan to the well equipped kitchen (dishwasher, coffee machine, raclette and fondue etc...), and the dining area that comfortably seats 8 people.